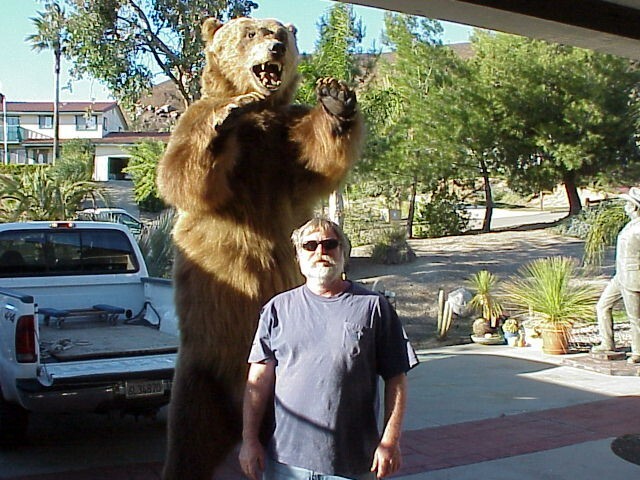 Here is a beautiful Full Mount 1927 Kodiak Bear out of Alaska about 6'ft tall standing and on a platform on wheels. Great face for family cabin or business. Here is a beautiful Full Mount 1927 Kodiak Bear out of Alaska about 6'ft tall standing and on a platform on wheels. Great face for family cabin or business. Please email cowboycabin@centurytel.net with questions or call 406 270-2842.